If you’ve decided to stop driving your vehicle for whatever reason—whether desiring to lower your carbon footprint and commute on public transportation, moving to a different country or state that doesn’t require car insurance ​or trading in your vehicle for a motorcycle or RV—you will likely want to cancel your auto insurance policy as well. You may also just be looking to switch insurance providers because of a more affordable or comprehensive plan and are looking to cancel your current policy. If you cancel your policy before it expires, you are often entitled to a refund. Car insurance refunds are nice, but how do they work? Knowing how your car insurance billing system works and any fees that may apply to early policy termination can help you make decisions like when to switch your car insurance or when to drop coverage on a vehicle. Example: Jack paid for a full six months of car insurance on three vehicles. Three months later, he sold one of the vehicles. He will receive a refund for the three months of insurance he did not use on the sold vehicle. If you pay your insurance on a month-to-month basis, you have less money being paid toward the future. More than likely, any changes you make to your vehicle will come in the form of a credit toward your future billing. In other words, a refund is less likely and a credit will probably reduce your future payments instead of generating a refund. The best chance of getting a refund if you pay month to month is to cancel your car insurance policy mid billing cycle. Is there a fee for canceling car insurance? It is possible for a fee to be charged if you cancel your car insurance. Typically a fee only applies if you cancel your car insurance within the first two weeks of purchasing the policy. Most of the time, if you have had your same insurance policy for a long time, no fee will apply. If a fee is charged, it will be subtracted from your refund amount if any is due. Check with your insurance carrier about cancellation fees. 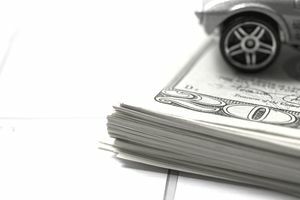 How much will my car insurance refund be? Figuring out the amount of your insurance refund can be tricky. Sometimes your insurance agent or insurance representative can calculate the refund amount immediately. Car insurance refunds usually are pro-rated, meaning your rate is calculated by day and any prepaid unused days will be refunded. If you can’t get the exact dollar amount from your agent at the time of your policy change, usually you will be able to get an exact answer within a couple of days of the change request. How long will it take to get my car insurance refund? Many insurance companies have a 10-business-day period in which your car insurance account must have been canceled before a refund check is issued. Expect an approximate two-week wait time to receive the check in the mail. How will I receive my car insurance refund? The traditional refund method is by check in the mail. Some insurance carriers route the money back to your bank account if your car insurance is set up with EFT payments. Because refund delivery methods can vary, you should ask your insurance agent or representative. I did not receive my refund check. What do I do now? If you have waited two weeks and have not received a refund check or direct deposit, call your insurance carrier. Verify your mailing address to see if the correct address is on file. The insurance carrier will be able to see whether the refund check was cashed. Assuming the check was not cashed, your insurance carrier will be able to put a hold on the issued check and issue you a new check. Some companies require a full 30 days to pass before issuing a new check. Hopefully, your check will arrive in the mail in a timely fashion. Otherwise, you could be waiting up to 45 days for a replacement. • Cancel on your car insurance renewal date. • Cancel on your monthly payment due date if you pay monthly. • Make changes on your car insurance renewal date. Using your renewal or payment date as the day to make changes leaves it so that you will not owe them any money and they will not owe you any money. Prior changes to your car insurance could make that statement untrue, but most of the time you will be all set if you stick with your renewal date.